Blood Upon the Altar started life as a raw, confrontational demo recording. While the predominantly death/grind sound may scare off more “current”, post-black listeners, long-time black metal kvltists will easily recognise the inspiration behind some of the more violent black metal acts of today, including Archgoat or Impaled Nazarene. While blackened death metal nowadays is far removed from the Blood Upon the Altar template, with artists like Behemoth and Belphegor often opting for atmosphere over brutality, the contribution Blasphemy made is undeniable, often being listed alongside the likes of Venom, Von, Hellhammer and Sarcofago as examples of first-wave black metal that did not arise from the Scandinavian wilderness. 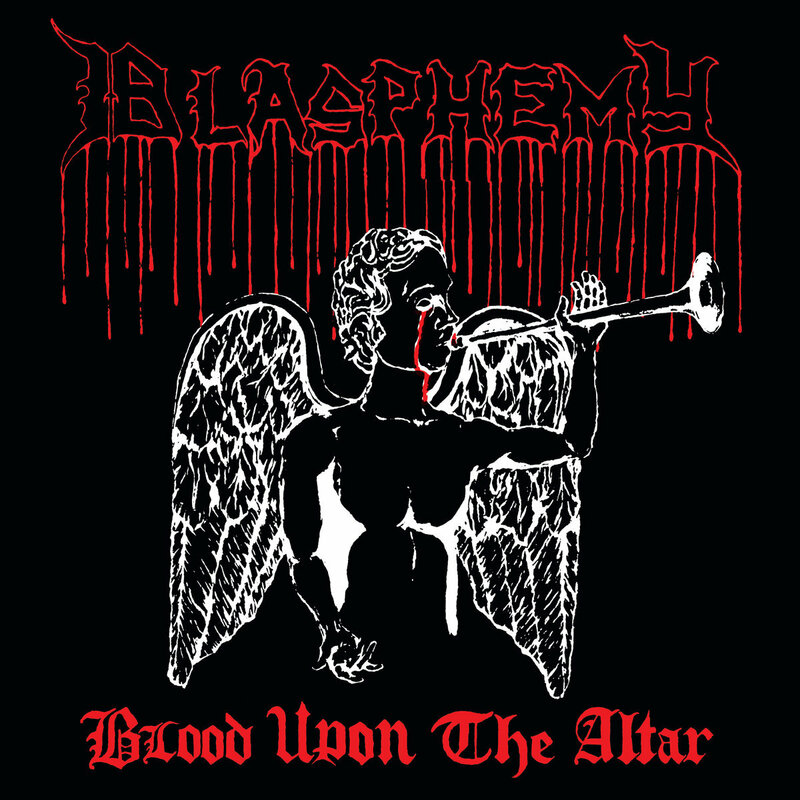 As long as bestial, angry songs like “Ritual” and “Blasphemous Attack” exist, Blasphemy will always be a relevant contributor to the genre, and Blood Upon the Altar will always be a classic.